Remove 15 Gallons of water damage in 24 hours with the Dri-Eaz F203 15 Gallon DrizAir 1200 Dehumidifier. 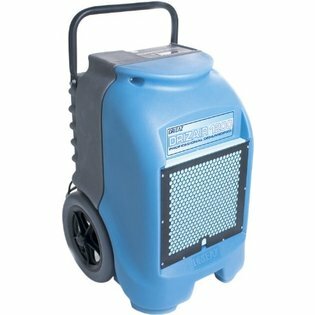 The DrizAir®1200 dehumidifier is small, portable and professional. This unit uses hot-gas bypass for fast defrost and removes up to 15 gallons a day. Semi-pneumatic wheels make for easy transport and electronic tough-pad controls make for easy use.